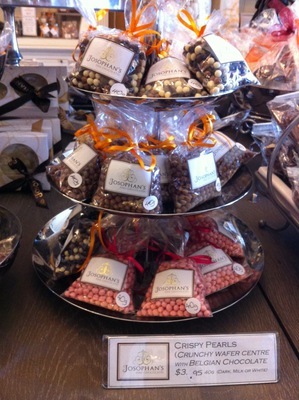 Josophan's Fine Chocolates is nestled right in the heart of Leura, in Leura Mall. Josophan's uses Fair Trade certified chocolates and fresh flavour infusions to create boutique handcrafted chocolates onsite at their store in Leura. 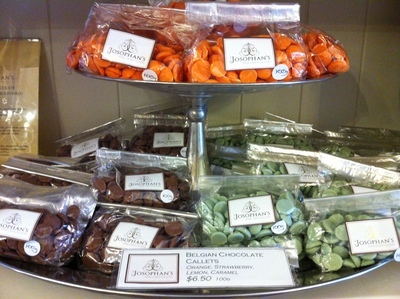 Josophan's promises that their chocolates contain no preservatives or artificial flavours - just fresh, naturally flavoured, extraordinarily beautiful chocolates. 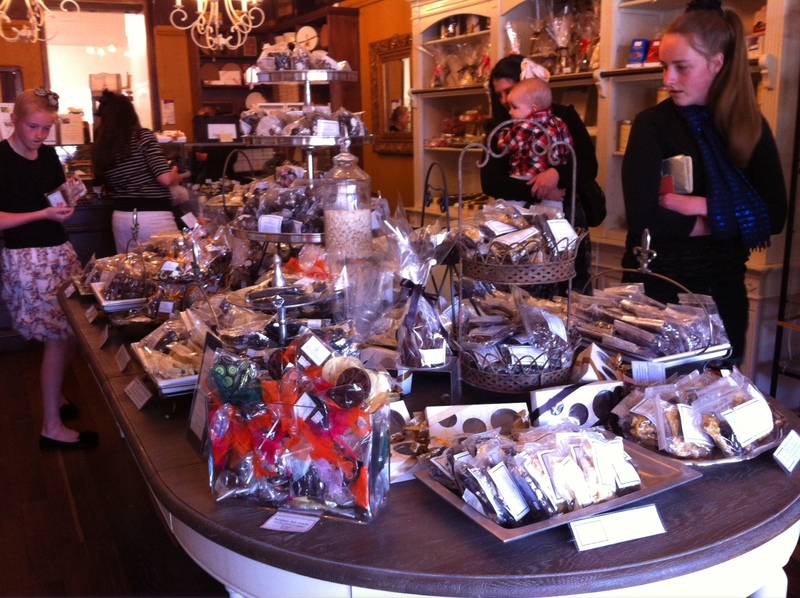 The Leura Chocolate store incorporates the boutique shopfront, a workshop and tasting room, and a production laboratory where the fine chocolates are made. 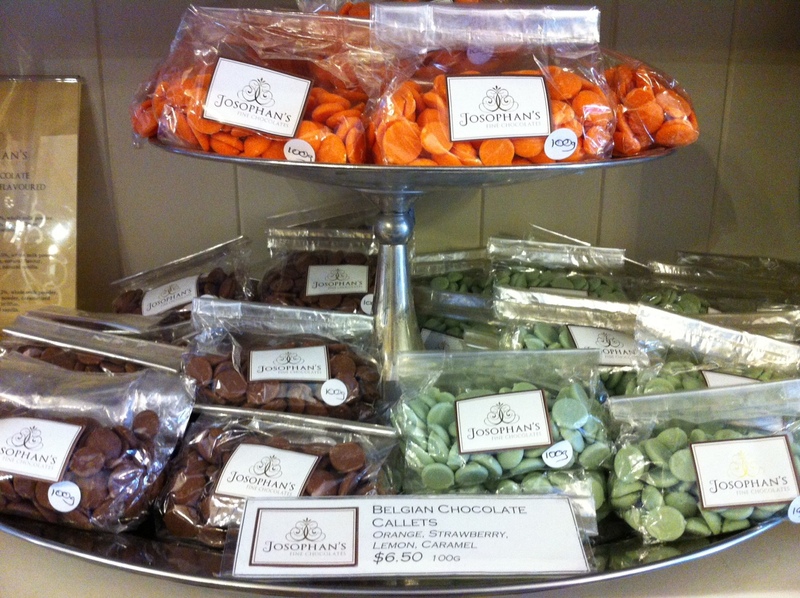 My favourites amongst Josophan's chocolate range include the Lemon Belgian Chocolate Callets that are not only smooth and zesty, but also great to look at with their gorgeous pastel green colour. The Crispy Pearls and Chocolate Freckles are popular with the kids, along with the novelty chocolates such as the Milk Chocolate Cow. The Tahitian Vanilla Bean is a sweet scented chocolate that delivers a smooth velvety vanilla. Josophan's also offers wedding services for your special day, including exquisite wedding cakes and bonbonniere. 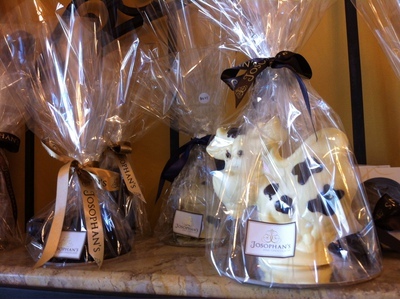 Josophan's also hosts a number of chocolate workshops and events, including chocolate appreciation workshops, Truffle making classes and Dessert making workshops. Check out the Josophan's website for details of upcoming events. 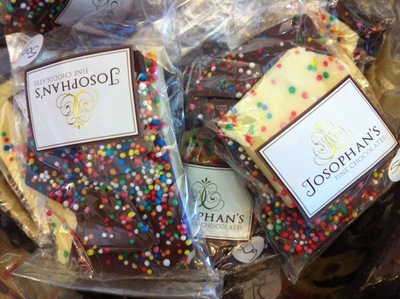 Josophan's is one of my favourite chocolatteria's and I'm always looking for an excuse to head to Leura to stock up on some of their chocolates. 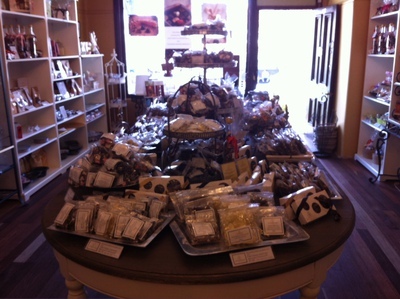 But if you can't make it to Leura to visit their boutique - not to worry, Josophan's also has an online store. Looks absolutely beautiful! 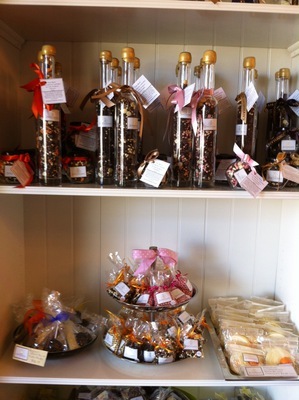 I am such a chocolate fiend, I imagine I would go crazy in this shop :) The Honey & Lavender and Tahitian Vanilla flavours sound so lovely, what a fantastic little shop. Seems like a perfect stop for gifts too!